Fans of Maggie Stiefvater's Shiver and Becca Fitzpatrick'sHush will relish this intense paranormal love story featuring Romeo and Juliet, literary history's most tragic couple, who meet again, not as true lovers, but truly as enemies. Shakespeare’s Romeo and Juliet gets revamped in Jay’s book. What you thought you knew about the ageless story is turned upside down when Juliet is introduced as a body-less soul who takes control of Ariel, in hopes of bringing soul mates together. Ever since Romeo supposedly murdered her for a chance of immortality, Juliet gets a chance at immortality herself, working for the Ambassadors of Light. Romeo is her enemy, trying to ruin Juliet’s hard work. 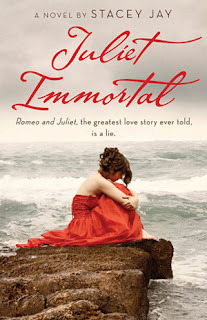 Juliet Immortal started out confusing but quickly became a great retelling of Shakespeare’s famous work. As much as I love the cover, because it is beautiful and was the main reason I picked it up in the first place, the cover has nothing to do with the story. It’s a gorgeous cover and the tagline: The greatest love story ever told is a lie is a compelling idea that will make any Shakespeare lover read further. But you don’t need to be a Shakespeare scholar to love this book: actually, you can have barely any knowledge of Shakespeare’s work to follow the story. Jay wrote Juliet Immortal in such a way that it tells an entirely different new story of Romeo and Juliet that others could not even imagine. Stacey Jay has certainly taken the famous play apart and created something truly original and never-before-thought-of. 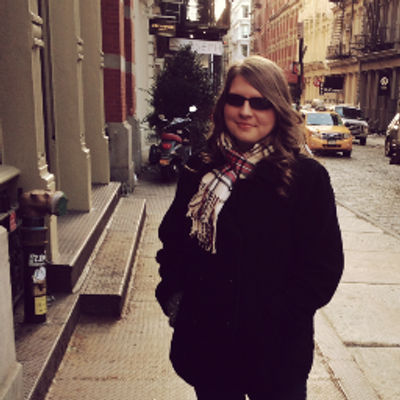 Also, her writing style is paced just so that will make readers interested on the next plot twist. At first, I was under the impression this was going to be a Romeo and Juliet retelling- where they were vampires. I mean, I was ready for some blood sucking fiends, and heart wrenching romance. What I got was entirely unexpected and even better than I had hoped. There were living corpses, light and dark forces, high school drama, and soul mates. The only thing that got on my nerves was the one mean girl that showed up. Is it a requirement that if you are going to write a book set in high school, you include at least one mean girl? Is that a thing, because a lot of authors have been writing books with at least one mean girl in their books, lately, and I can tell you right now that I have never encountered a mean girl in all my four years of high school. Gemma is her name and as much as the other characters were great and well-thought out, Gemma was just your ordinary mean girl who couldn’t even be redeemed by her sad childhood because she was just plain mean. The other characters balanced out Gemma. Ben, the boy who may have a dark past, was such a gentleman! Of course, you can’t have a Shakespeare retelling without stars: Juliet and Romeo. Juliet knew how to handle everything thrown her way; she was not the gushy little girl she was in Shakespeare’s work—she’s grown up a lot since then. Romeo, on the other hand, may be sincere but it’s hard to get past the rotting corpse on the outside to truly see what’s going on in his mind. However, I am looking forward to reading the sequel. The ending was a bit surprising. I wasn’t expecting it to go in the direction it went. I hate giving things away so I won’t say much. However, I wonder how Jay is going to write a sequel because there are many directions she could take. The sequel is already released, Romeo Redeemed. If you have time for this one, definitely check it out. Juliet Immortal is a new take on Romeo and Juliet, where Juliet takes center stage as our narrator in present day California. She is sent to bring two soul mates together, when Romeo is sent to tear them apart. Rated PG-13 for sexual references and violence. Glad it was a new take on R&J, and might be soemthing I would enjoy as well.